Simple recipes utilizing simple ingredients are usually my favorite– nothing fancy or overly complicated, just letting the ingredients speak for themselves. That’s when you can really taste all the individual flavors. This “recipe” (if you can call it that) is a super quick, no-frills snack that is high in protein and is decadent enough that you won’t feel the need to consume a whole bowl full. It’s flexible too – are you in the mood for a little something savory or would you prefer a touch of sweetness? 1. 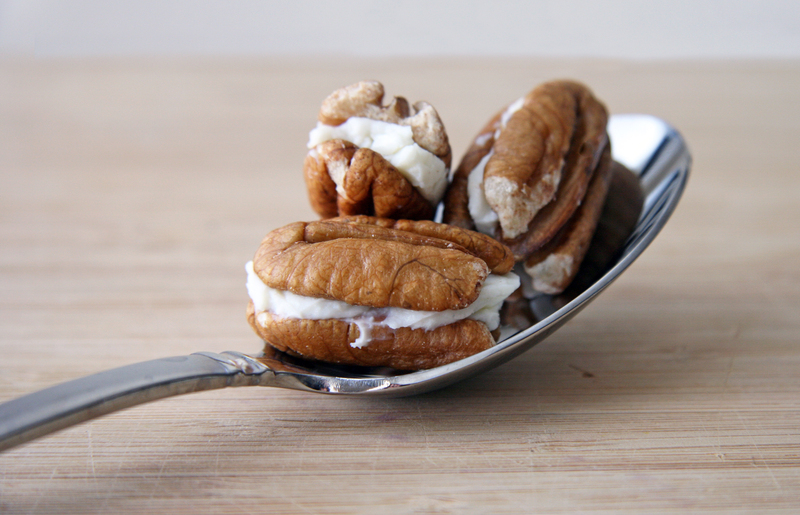 Take a small amount of cheese and spread over one pecan half. Top with another pecan half and enjoy! *My favorites are plain without any additions OR a touch of honey and cinnamon for a slightly sweet bite. 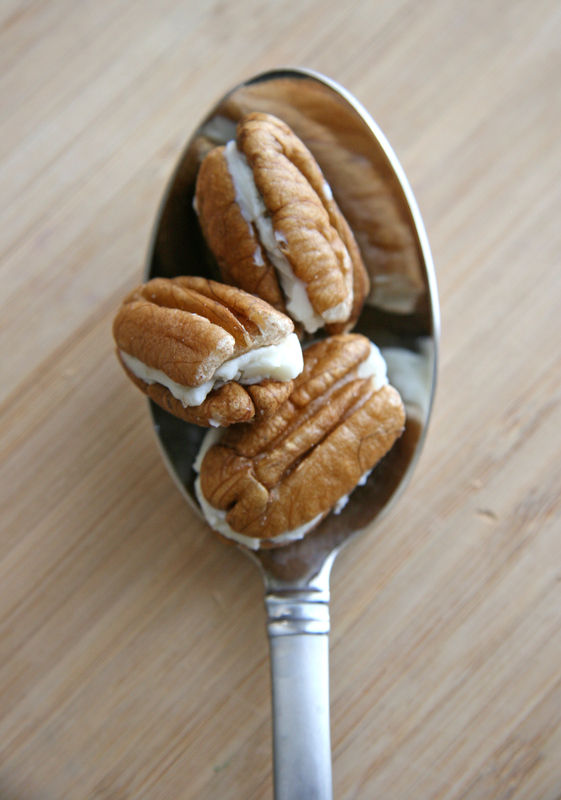 **If using add-ins, mix the cheese of choice and your savory or sweet addition in a small bowl before spreading between pecan halves. These are adorable! I will be trying them very very soon.